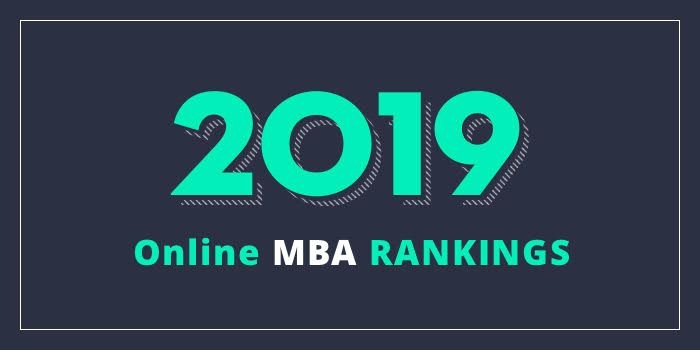 Our 2019 rankings of the Top 5 Online MBA Programs in Virginia. For an explanation of ranking criteria, click here. The College of Business at James Madison University (JMU) offers two online MBA programs including the Information Security MBA and the Executive Leadership MBA. The Information Security MBA consists of 42 credit hours and takes around 28 months to complete, including summers. This AACSB-accredited program is part-time and requires just one Saturday residency every eight weeks in McLean, Virginia. The Strome Online MBA is a fast-paced program that features short 7.5-week courses, a strong core curriculum, and courses taught by Ph.D. faculty. Subject areas covered include Accounting, Business Analytics, Business Law, Economics, Finance, International Business, Leadership, Management, Marketing Strategy, and Supply Chain Management. The MBA consists of 40 credit hours and 45 for non-business undergraduates, with 36 hours of core courses in the covered subject areas. The School of Business at Liberty University offers a 45 credit hour MBA program that may be completed entirely online. Per the school, the curriculum for this ACBSP-accredited program builds students’ “existing knowledge and experience” to develop their “critical thinking, leadership, and management skills.” The program is designed for those seeking to advance in their current position or explore other areas within the field of business administration. Students have the option to choose the 45 credit hour online MBA with a specialization or the 36 credit hour program with no concentration. More than a dozen specializations are available including American Legal Studies, Criminal Justice, Finance, Healthcare Management, International Business, International Legal Studies, Nonprofit Leadership, Public Administration, and Strategic Management to name a few. Students may transfer up to 50% of MBA program credit hours from another institution, courses are eight weeks, and there are eight different start dates each year with no set login times. The Liberty University Online MBA may be completed in two years. VCU School of Business offers an MBA program that features weekly online classes, with three on-campus residencies held on weekends. The first residency takes place at the beginning of the year. It consists of an Orientation (Professional Development and Leadership). At the beginning of year two, students will attend a Creativity and Innovation Residency, and at the end of year three, they will attend “Hackathon” and the graduation. Per the school, each semester, students will take two three-credit courses and a one-credit course. Three-credit courses focus on management and leadership in areas such as operations, finance and economics. One-credit courses focus on contemporary business issues such as innovation and creativity, entrepreneurship, and cybersecurity. Other program highlights include small class sizes (just 23 students), the opportunity to complete the program in two years, and AACSB-accreditation.